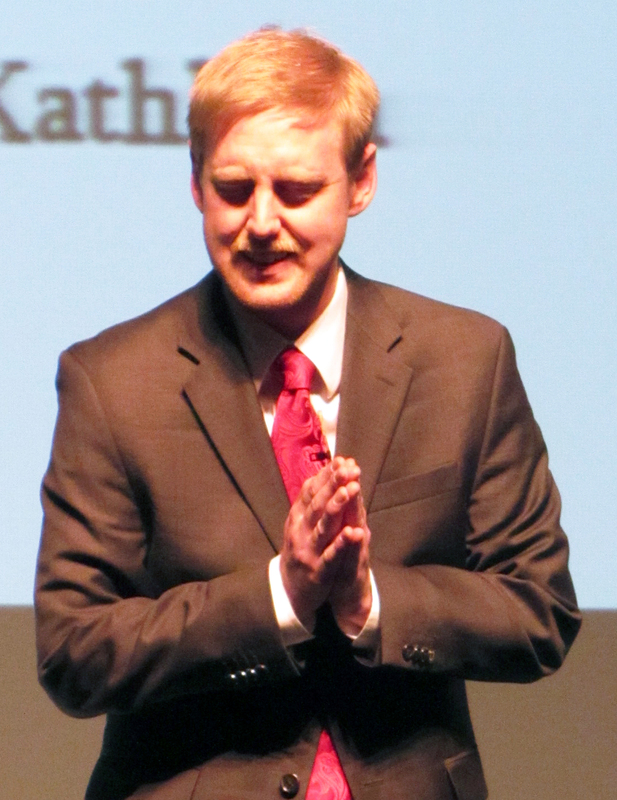 The half-filled Atherton Auditorium echoed the voices of speakers and debaters on Tuesday, April 23. The Speech and Debate Showcase, co-hosted by Delta’s Speech and Debate Team and the politics and law society, displayed the talents of students in topics ranging from the informative to the humorous as well as a political debate relating to current gun control controversy. The highlight of the event was the debate on the subject of whether or not teachers should be allowed to carry concealed weapons. Instructors Harry Mersmann and Jeff Toney argued against concealed weapons while students Eric Thomas and Ashley Gordon were arguing in favor of. One memorable moment involved Mersmann drawing a water pistol and shouting to the students “Do you think it would be right for me to do this just because I don’t agree with you!” as a example of how guns could be used inappropriately in schools. After the debate ended, the moderator asked the audience to decide which side they believed had the stronger argument. The audience decided unanimously that the professors won. Earlier that evening, students gave a series of speeches. Alexis Lopez did an informative speech on the shot finder system, which is technology that will detect the location of gunfire and send a report to the police department immediately allowing them to respond faster. Scott Nelson did a after dinner speech on why the nineties were better than the two thousands, which he referred to as the “oughts.” He used several examples of nineties television and music as part of his speech. The Delta Speech and Debate team recently won a bronze at a national competition before hosting this event.